So this was our bikes outside the Central. 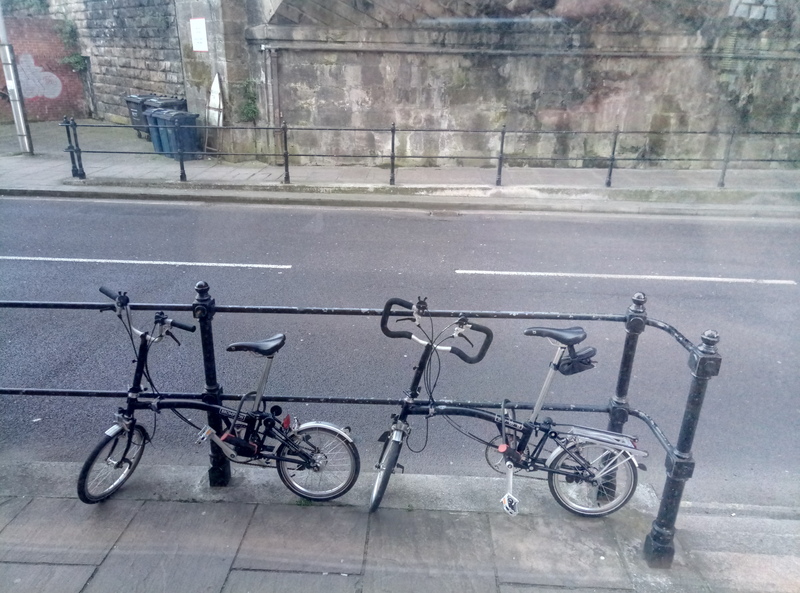 And this is our bikes in ‘spoons. 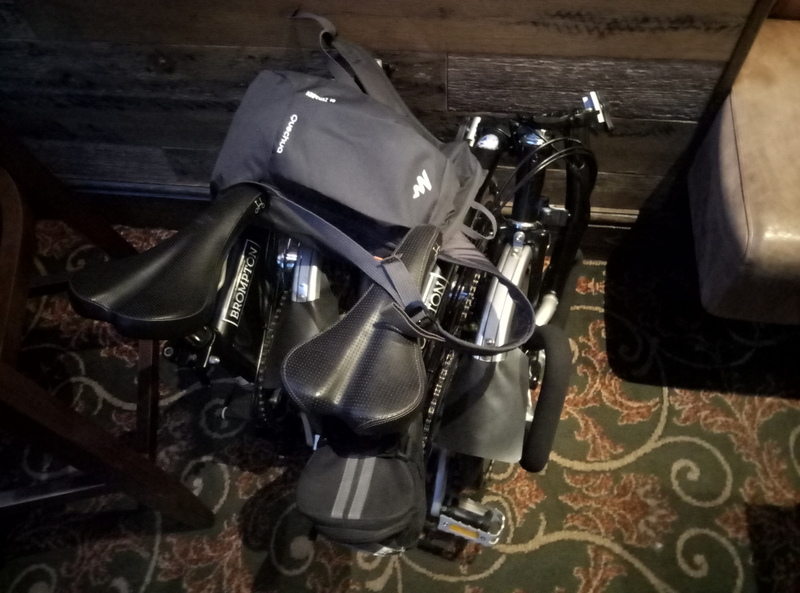 This entry was posted in Cycling on 05/05/2018 by garymoore. 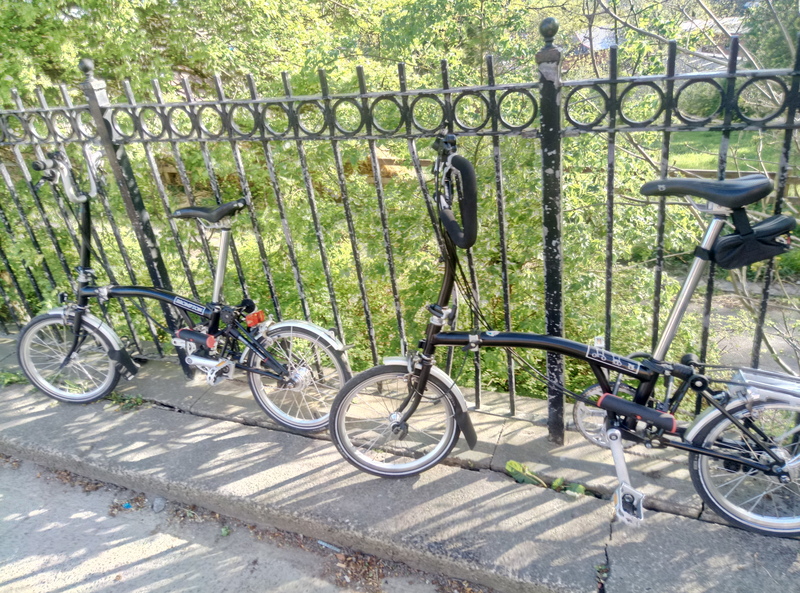 A longer bike ride today, down to Team Valley, then to the quayside, Ouseburn and back. Of course, we needed to stop for a rest now and again. We rested at the Tyne Bar, the Cumberland Arms and the Cluny. We’re currently resting in the Bridge Hotel. Crossing the high level bridge will probably be tiring, so another rest is scheduled for the Central. I do appreciate advertising which acknowledges the local area. I’d imagine it’s not particularly costly, so it’s important to get it right. For example, I’ve learned that it’s only 17 minutes from Durham Road to Newcastle. As I say, accuracy is important. Durham Road’s quite long so I’m wondering if the timing of 17 minutes is an average. It can’t be a reference to the time taken from the location of the poster. 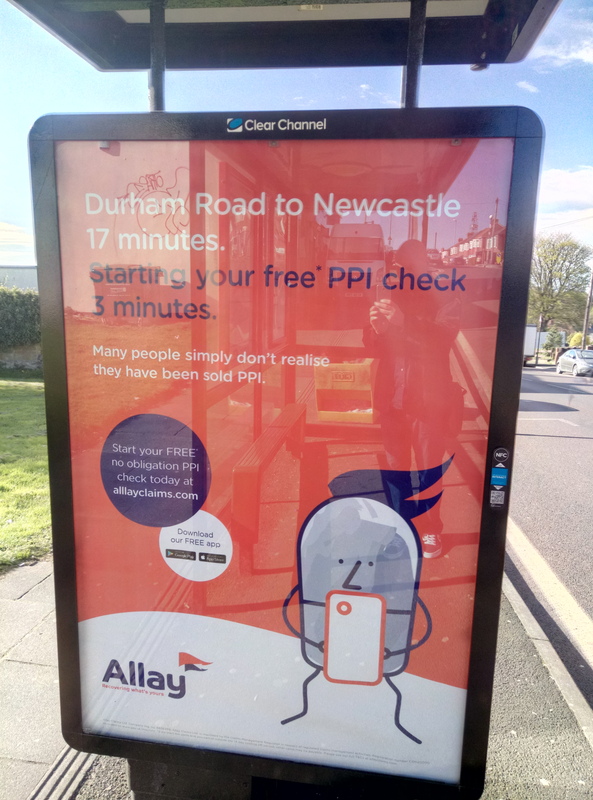 Because this bus shelter’s actually on Old Durham Road. This entry was posted in Advertising, Sodhouse Bank on 05/05/2018 by garymoore.